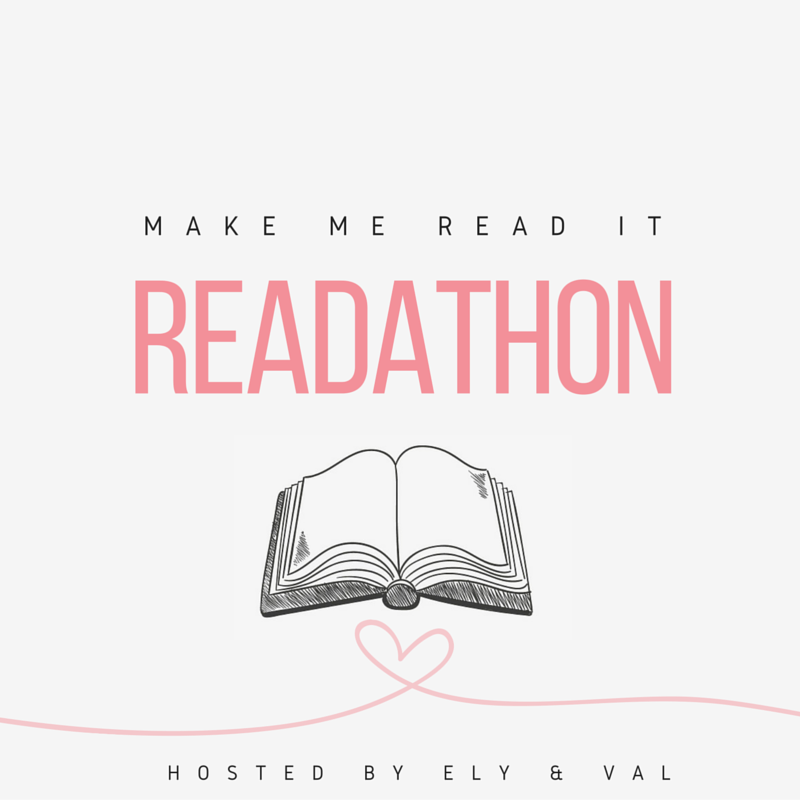 Make Me Read It Readathon: What Should I Read? Hey everyone! One of my goals this summer is to take part in a readathon, so when I saw a ton of bloggers posting about the Make Me Read It Readathon, I decided to take part! I’m really excited because this is my first readathon (during school I have no hope of being able to take part in them). I have chosen a mix of books that I have had on my shelf for a while now and recent (or planned) purchases. For a lot of these books, I don’t know how much I’ll like them, which is why I have put off reading them, but I hate owning unread books, so I hope this readathon forces me to clear off my TBR shelf! I had to pick Eragon and Shadow and Bone because I’ve read them both and liked them, and then I picked These Shallow Graves because I’ve seen it around a lot lately and I really want to read it. 🙂 Thanks for voting! Hey! I voted on your poll. I really hope you’re forced to read them, hahaha. I don’t like owning unread books either but the temptation to stop is too strong. 😦 Thanks for stopping by my post and voting! I voted for Firsts and These Shallow Graves! I have TSG at home but haven’t read it yet. I chose Shadow and Bone! The second book in the series is one of the options in my poll. I really want to finish the trilogy because i’m dying to read Six of Crows, but I don’t want to be spoiled for the previous books. Good luck with the books you end up reading! Oh interesting list. I picked Eragon and Shadow and Bone, but especially Shadow and Bone ❤ I hope you'll have a great time during the read-a-thon! Thanks! I’m sure I’ll enjoy it! There have been a lot of votes for Shadow and Bone, so I’m sure I’ll read it! VENGEANCE ROAD AND SHADOW AND BONE! So, so, SOOOOO good. It looks like you’ll be reading Shadow and Bone since it’s got the most votes so far and I really hope you like it. As for Vengeance Road, I don’t know if you’ll get around to it via this readathon, but definitely worth reading. I really just had a fun time reading it and hopefully, you will too. Good luck during the readathon! Thanks for voting! I am definitely going to end up reading Shadow and Bone–it’s killing it in the votes! I’m really excited because I probably wouldn’t have picked up the book myself, but I’m being pushed to…which was exactly my goal for this readathon! Honestly the hype is part of why it has sat unread on my shelf so long. But I’m hoping it lives up to the rave reviews! I have only read Shadow and Bone so I ended up voting for that. But I also have heard many great things about Firsts, so I voted for that one as well! And I also need to get to that book at some point. Anyways, thank you so much for joining! I can’t wait to see what books are picked! Thanks for voting! I’ve heard amazing things about both books! Such a great list! It was pretty hard to choose, haha. But Shadow and Bone and Wanderlost seemed like good choices! 🙂 Good luck! Great list! I haven’t read any of them, but I voted for Shadow and Bone, These Shallow Graves and Vengeance Road because they’re ones I really want to read or am super curious about 😊 Good luck with the readathon!! !